And utilities like PG&E are cautiously looking at new energy storage technologies and applications as they engage in a number of pilot projects. Pilot and demonstration projects are needed for utilities to test-drive new technology and grow a level of comfort around these new potential assets. Most utilities don't have a specific budget for energy storage, so they depend on getting federal and state grants for this sort of thing. The danger for an energy storage startup is in falling into pilot project purgatory with no view of commercialization. PG&E has 15 million customers and 430 megawatts of photovoltaics in its service territory, according to Thalman. Under one CPUC scenario, PG&E expects to have an energy mix with 13 percent solar and 10 percent from wind power in a few years. The utility is no stranger to large-scale energy storage -- its Helms pumped storage facility is a 1,200-megawatt storage unit near Fresno, California that's been in operation for 25 years. But it was built in different regulatory (and environmental) times. PG&E does have another pumped hydro site in development, Mokelumne, that's potentially the same size as Helms and has the potential to be used to help buffer the 4,500 megawatts of wind power coming in from the Tehachapi wind developments. So, PG&E understands pumped hydro. Electrochemical storage might be a different story. PG&E has two pilot projects using sodium sulfur (NaS) batteries from NGK. NGK's NaS batteries were selected because they are one of the few technologies and vendors with a performance and reliability track record. According to Thalman, the pilot can help the ISO develop the storage markets with this test bed. The first project is a 4-megawatt, 28-megawatt-hour battery system servicing a large office development at the end of a long distribution feeder where there's been a history of outage problems. It's expected to be operational in the fourth quarter of 2011. 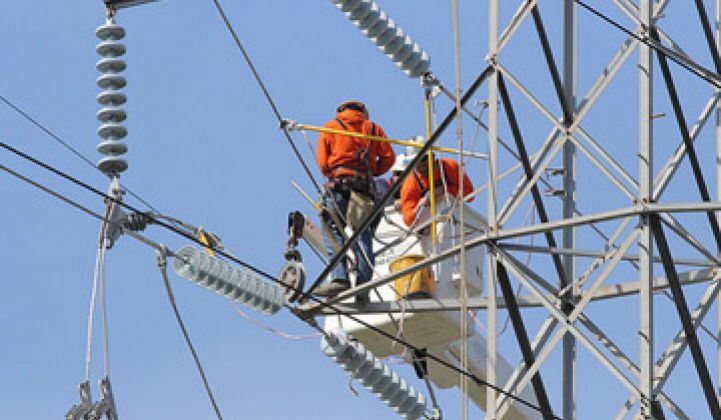 The second project is at a substation near the Vaca Dixon Solar Plant of Vacaville, California. It's a 2-megawatt, 14-megawatt-hour installation due to be operational in a few months. This project addresses load shaping, renewables integration, and ancillary services. Storage economics depends on capturing multiple simultaneous high-value revenue streams. The larger view, according to Thalman, is a sustainable electrical system integrated with EVs and renewables in light of the changing mindset of customers, who are increasingly aware of energy efficiency.